Encrypt and send documents securely. No more scanning and posting! You must pick up the card at an Estonian embassy or consulate, or inside Estonia. If you do not have a pick up location in your country, you can arrange to pick up the card in another country. The digital ID card and e-services are built on state-of-the-art technological solutions, including 2048-bit public key encryption. 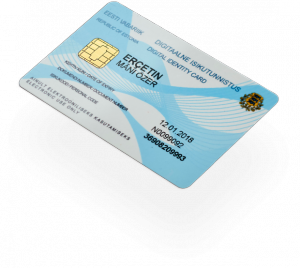 The digital ID card contains a microchip with two security certificates: PIN1 for authentication and PIN2 for digital signing. The digital ID card is not a physical identification or a travel document, and does not display a photo. Everything you need to operate online as an e-resident is provided in the e-Residency kit – your digital ID card and a card reader. Insert the digital ID card document number here to check.